The history behind many Italian and French cycling brands is very interesting - and the GANNA brand is no exception. Luigi GANNA was born in Induno Olana, Italy, on December 1, 1883. He died at the age of 73 years on October 2, 1957. 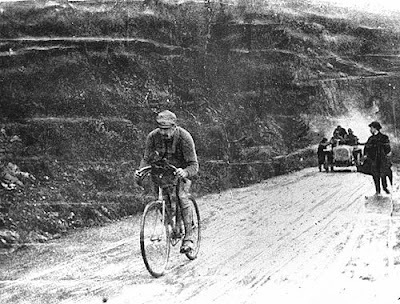 GANNA was an Italian professional road racing cyclist and the legendary highlight of his cycling career was his overall win in the first Giro d'italia that was held in 1909. The 1909 Giro was a gruelling cycle race of 2448 kilometres where only 49 of the 127 competitors managed to complete the course. In his younger days GANNA worked as a brick layer many miles from where he lived and so he rode his bicycle to and from work each day. The roads were rough and this daily exercise enabled him to become a very strong and talented rider. His enjoyment of cycling led him to entering local cycling competitions where he regularly won. After convincing wins he realized that the skills he had gained on his daily rides to work were worthy of him becoming a professional cyclist. 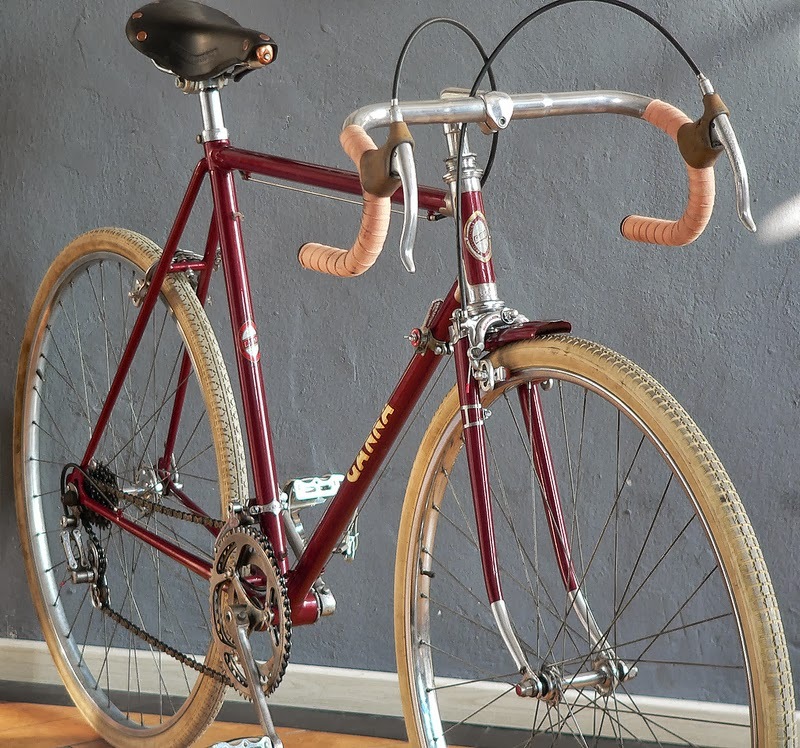 In 1912 GANNA successfully commenced building and marketing his own line of bicycles, and continued to manufacture fine bicycles until his death in 1957. The GANNA name was carried on after his death until in 1985 the company was bought out by Giubilato. Fortunately many bicycle collectors appreciated his work and added his finely crafted steel framed machines to their collections. Here are some images of one of his wonderful creations that was built just before his death. It is the Bonvicini Torino Mezza Corsa bicycle from the 1950's that carries an original Campagnolo gruppo from the era. 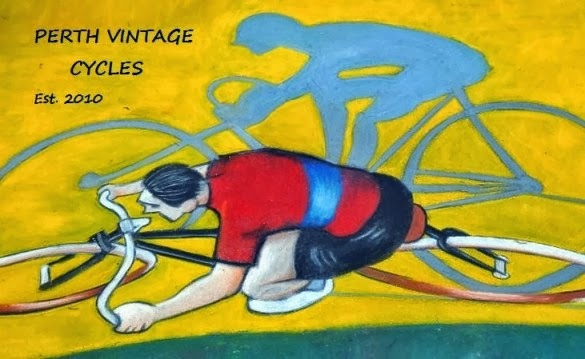 Images courtesy of Vintage Speed Bicycles, Switzerland. What a beautiful machine that would add value to any collection!